We’ve recently recommended you to get an SSD drive, if you have problems with slow boot in Windows 10. But if your computer boots slow, even after you got an SSD, that could be a problem. Fortunately, not a problem that we cannot solve. SSD drives absolutely beat HDDs when it comes to booting speed, as some SSDs (in the combination with right hardware) are able to start your computer in a couple of seconds. And since we know how SSDs are fast, if booting your computer takes a little bit more time, you should know that something’s not right, and it needs to be solved. So, check out our solutions for slow boot in Windows 10 on Solid State Drive. Slow startup Windows 10 – This is just a variation of this problem, and many users reported that startup is slow on their PC. This is usually caused by third-party applications. Slow boot time black screen – Several users reported that their boot time is slow due to a black screen. The cause is usually your graphics card driver, and after you remove it, the issue will be resolved. Windows 10 slow boot after update – Sometimes this issue can occur after a specific update. To fix the issue, you need to find and remove the problematic update from your PC. Avast, AVG, Kaspersky slow boot time – Third-party applications are the common cause for slow boot time. Many users reported that their antivirus was causing this issue to appear. 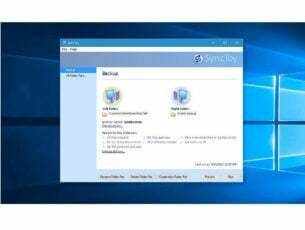 Slow dual boot – Many users tend to run multiple operating systems on their PC. However, dual boot can sometimes cause your boot sequence to slow down. Slow cold boot – Users reported that slowdowns while performing a cold boot. This can be an annoying problem, but you should be able to fix it by using one of our solutions. Disabling ULPS is probably the most common and the most effective solution for this problem, judging by the amount of positive feedback. ULPS stands for Ultra Low Power States, and it’s some kind of energy saver for your graphics card. For example, when your computer ‘goes to sleep’, your graphics card will do the same, so you’ll need to wait a few seconds more on your next startup, for your graphics card to ‘wake up’. Disabling ULPS will improve both wake up and startup performances, so this solution should be your first call. 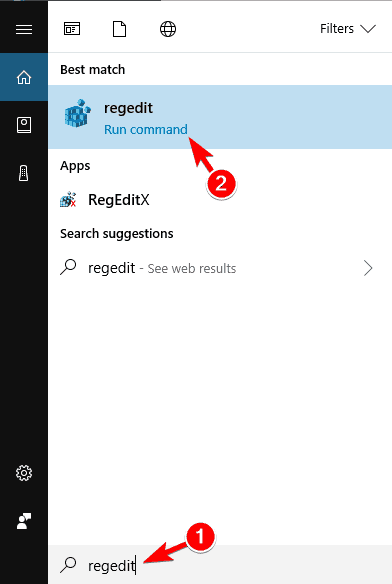 Go to Search, type regedit, and open Registry Editor. To avoid digging through numerous registry paths, just go to Edit > Find, enter EnableUlps and press Enter. Now, double-click on EnableUlps and change its value to 0. After performing this workaround, try to restart your computer, and it will boot at least a little faster. On the other hand, if booting is still slow, try some of the solutions below. 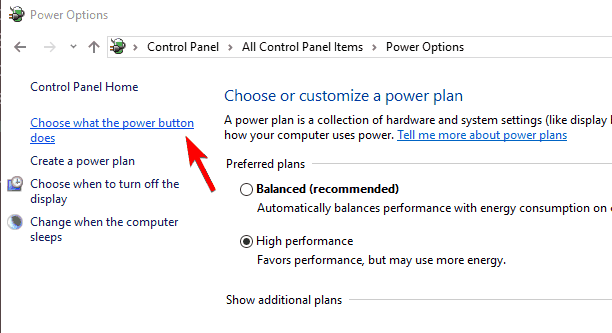 Go to Search, type power management and open Power Management. In Power Management window, choose High Performance plan. This should change your power plan, which will affect your next startup, and hopefully reduce the boot time. 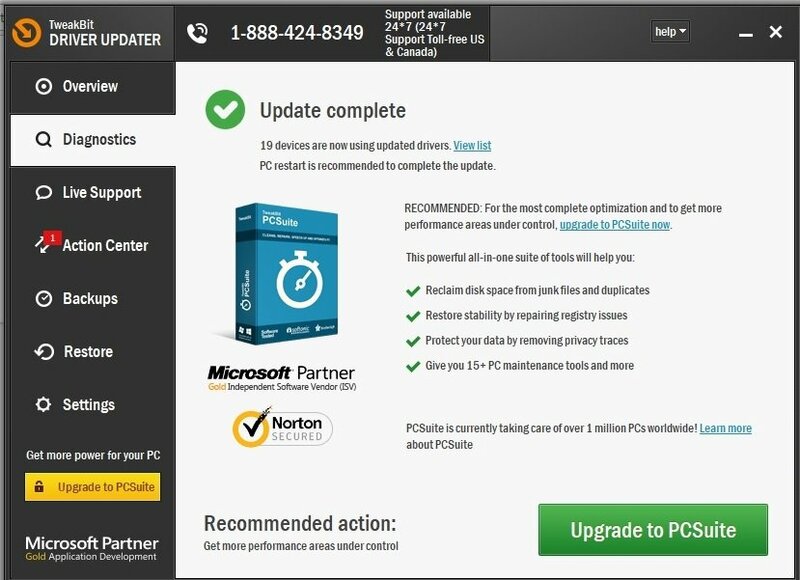 If you’re still having issues on your PC or you simply want to avoid them for the future, we strongly recommend you to download this tool (100% safe and tested by us) to fix various PC problems, such as file loss, malware and hardware failure. It will also optimize your PC for maximum performance. 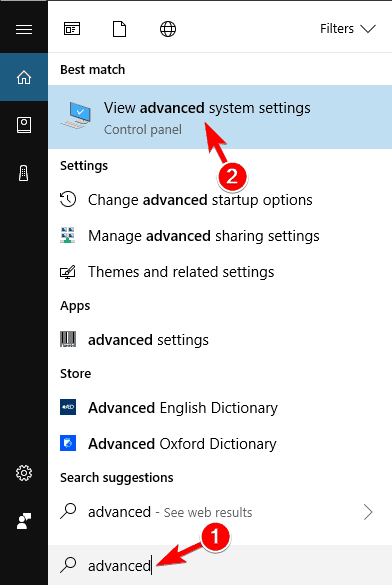 Now you can try with disabling unnecessary services and programs and startup. Just go to Task Manager, open Startup tab, and see which processes need to be disabled. Additionally to all of this, you can run your antivirus, and check if you have some malicious software on your computer, just in case. Open Control Panel. You can do that by pressing Windows Key + S and entering control panel. Now select Control Panel from the list. When Control Panel opens, select Power Options from the list. Look for Turn on fast startup (recommended) and make sure that it’s checked. Now click on Save changes. 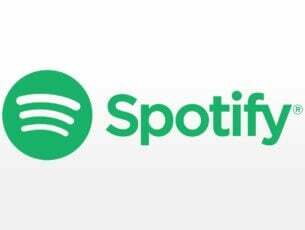 Fast Startup is enabled by default, but sometimes certain updates can disable it. 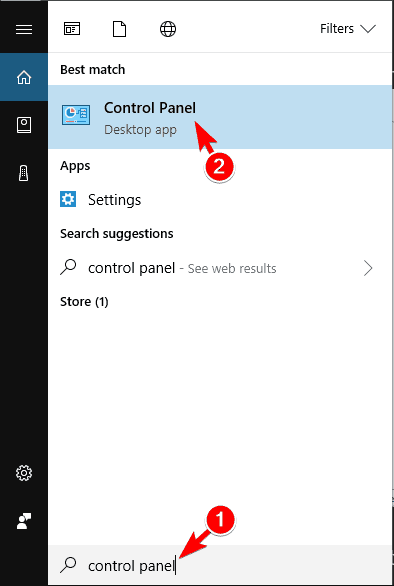 If this feature is already enabled on your PC, disable it and check if that solves the issue. Locate your AHCI driver, right click it and choose Update driver from the menu. Now click on Search automatically for updated driver software. Windows will now try to automatically update your driver. 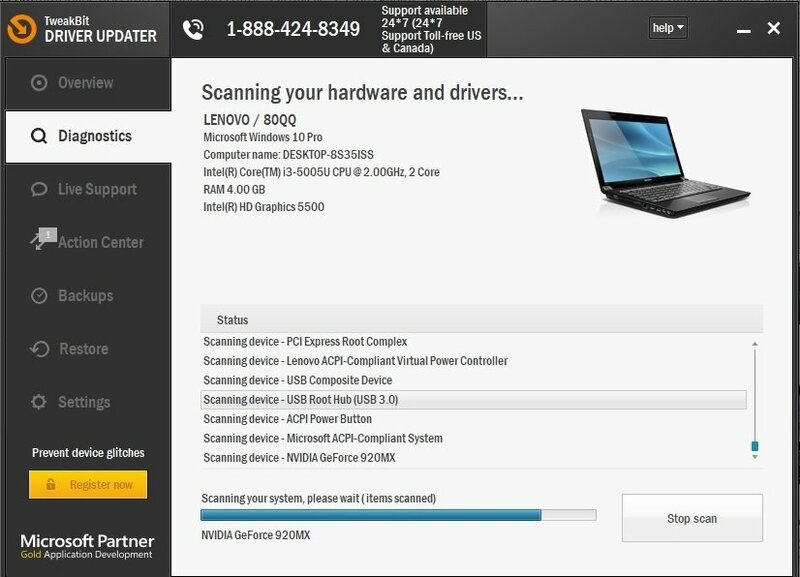 This is one of the simplest ways to update your drivers, but it’s not the most reliable. If you want to get the latest drivers, you have to download and install them manually. To do that, visit your motherboard manufacturer’s website and download the necessary drivers. After installing the latest drivers for your motherboard, the issues with slow boot time should be resolved completely. Many users reported that updating their AHCI driver fixed the problem for them, so be sure to try this solution. If this method doesn’t work or you do not have the necessary computer skills to update/fix the drivers manually, we strongly suggest to do it automatically by using Tweakbit’s Driver Updater tool. 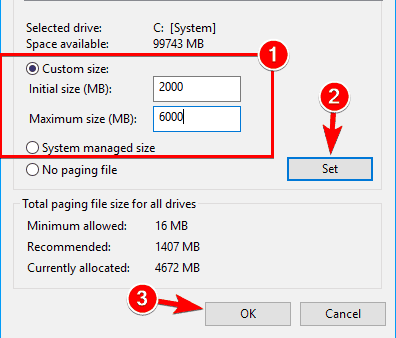 If you’re having problems with slow boot time on Windows 10, you might be able to fix this issue simply by disconnecting your DVD drive. According to users, this issue was caused by a faulty DVD drive, and after disconnecting it the problem was resolved. To disconnect your DVD drive you need to power down your PC and disconnect it from the power outlet. Next you need to open your computer case and disconnect the cables that are connected to your DVD drive. After doing that, the issue should be resolved. Keep in mind that opening your computer case will void your warranty, so you should maybe skip this solution if your PC is still under warranty. If you’re having problems with slow boot time, the issue might be related to your graphics card. Several users reported that they were stuck on a black screen while trying to start Windows. 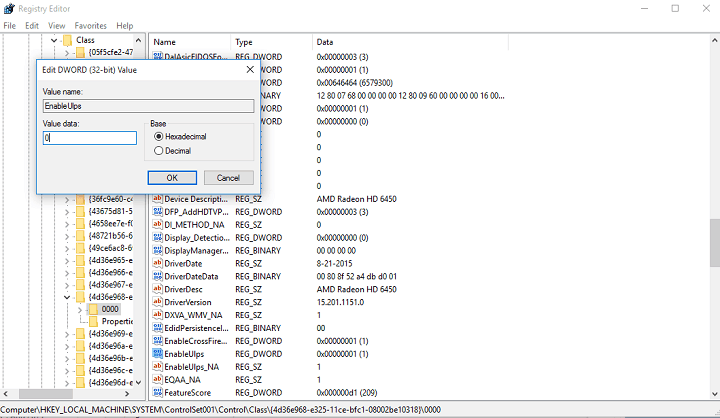 According to users, the problem seems to be related to AMD drivers. Open Device Manager. 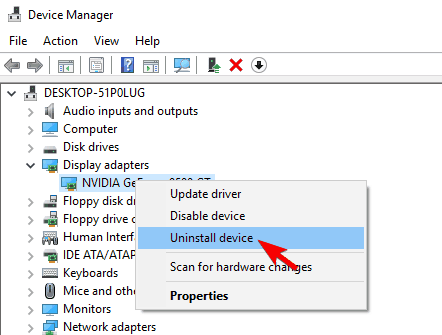 Locate your graphics card driver, right click it and choose Uninstall from the menu. 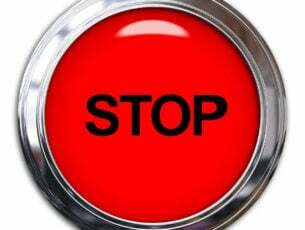 When the confirmation dialog appears, check Delete the driver software for this device and click on Uninstall. After uninstalling the driver, check if the problem is resolved. 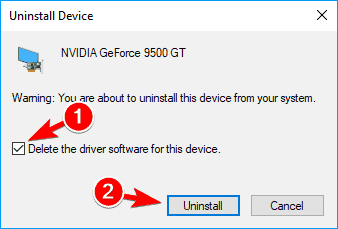 If you want to remove all files associated with your graphics card, we already wrote a guide on how to use Display Driver Uninstaller, so be sure to check it out. After removing the driver, Windows will use the default driver instead. 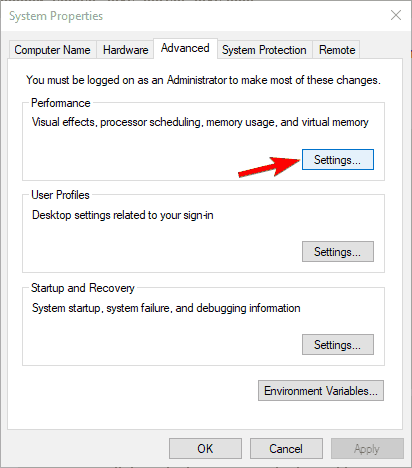 The default driver might not offer the same performance, so it’s advised to update it. If you had problems with the latest driver, be sure to install an older version and check if that solves the issue. Even though AMD users reported this problem, other brands of graphics cards can cause this issue as well, so be sure to repeat this solution for them as well. Press Windows Key + S and enter advanced. Choose View advanced system settings. In the Performance section click on Settings button. Go to Advanced tab and click on Change. 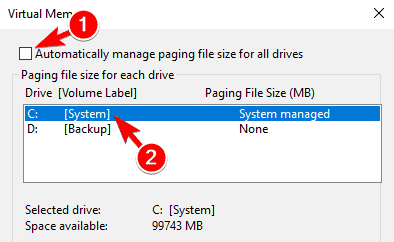 When Virtual Memory window opens, uncheck Automatically manage paging file size for all drives and select your System drive. Select Custom size and set Initial size and Maximum size in MB. 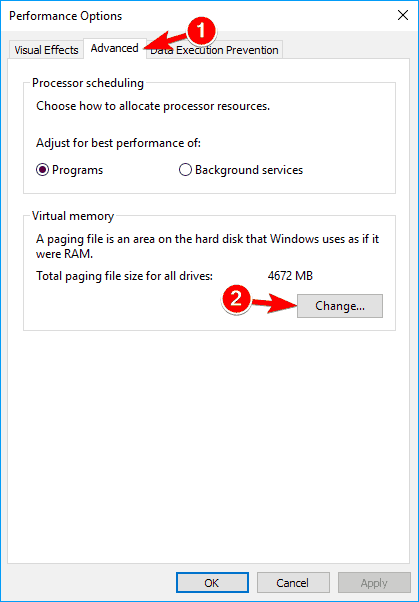 You can use any value for Initial size, but as for Maximum size use 1.5x or 2x the size of your RAM in MB. Click on Set and OK to save changes. After doing that, the issue should be resolved. Keep in mind that this isn’t a universal solution, so it might not work for you. If you’re still having issues with slow boot time in Windows 10, you might want to consider resetting Windows 10. This process will remove all files from your system drive, so be sure to back up important files first. It’s also worth mentioning that you might need a Windows 10 installation media to perform the reset, so create it using the Media Creation Tool. 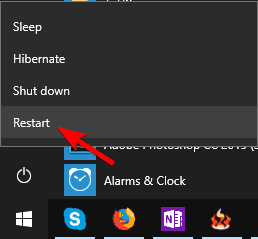 Open the Start Menu and click the Power icon. Press and hold the Shift key on your keyboard and choose Restart from the menu. Select Troubleshoot > Reset this PC > Remove everything. If you’re asked to insert Windows 10 installation media, be sure to do so. Select your version of Windows and choose Only the drive where Windows is installed > Just remove my files. Now you’ll see a list of changes that reset will perform. If you’re ready to start, click on Reset. Follow the instructions on the screen to complete the reset. After the reset is finished, check if the problem still appears. If not, you just need to move files from backup and install all your applications again. Keep in mind that this is a drastic solution, so you should use it only if other solutions don’t work. That should be all, I hope these solutions helped you with the problem. If you have any comments, questions, and suggestions, or you maybe have some additional solutions, just reach for the comments section below. Editor’s Note: This post was originally published in October 2015 and has been since completely revamped and updated for freshness, accuracy, and comprehensiveness.